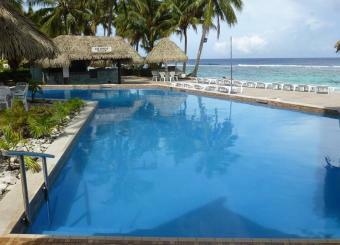 Club Raro Resort welcomes you to our little piece of tropical paradise. We love what we do and we love sharing it with you, from relaxing by the pool while enjoying a great cocktail, snorkeling in the warm lagoon to chilling reading a book. 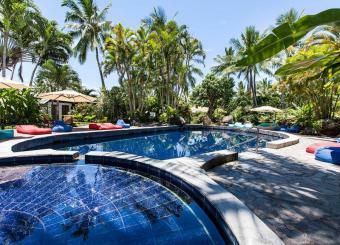 Small and friendly Palm Grove is set in the enchanting village of Vaimaanga on the stunning southern coast of Rarotonga. 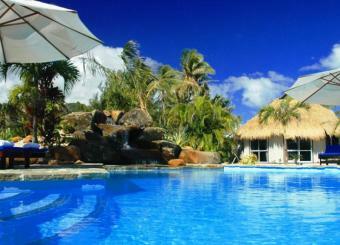 Palm Grove offers 22 individual bungalows scattered over 5 acres of landscaped beachfront and garden property. Pure beachfront on the South Pacifics crystalline sands of Muri Beach is the Cook Islands newest small luxury resort Nautilus Resort. Redefining laid back luxury, and created for resort or exclusive use, Nautilus is ideal for families, couples, celebratory parties and wedding gatherings. Nautilus is dedicated to those who want a modern yet authentic South Pacific experience in cool elegant luxury. Located on the western sunset side of the island, bordering a long white sandy beach and is just 8 minutes drive from the airport and 10 minutes drive from town. It is the largest resort on the island, offers exceptional value for money and has a huge range of accommodation, services and facilities to suit all tastes and budgets. Idyllically set on the shores of a sheltered lagoon, Sunset Resort has 35 spacious studios and suites situated either on the beachfront, overlooking the lagoon or beside either of the two swimming pools amid lush tropical gardens. 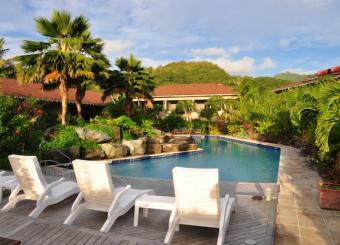 The secluded beachfront location provides guests with unspoiled views of Rarotonga's exotic sunsets. Located on Rarotonga's stunning southern coast, Moana Sands Beachfront Hotel has a prime beachfront location in a setting that lends itself to relaxation. This ABSOLUTE beachfront 17 room boutique hotel provides a tranquil, tropical island atmosphere where from your own private balcony or patio you can soak in the magnificent panoramic views of the white sandy beach and crystal clear lagoon teeming with colorful fish. Muri Beach is laden with glorious white sand, fringed by palm trees, and lapped by the gentle waters of a shallow, safe lagoon. 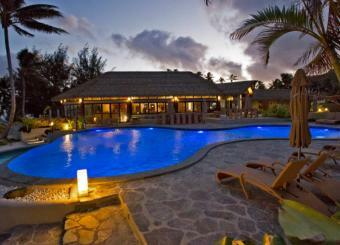 This boutique resort offers a perfect blend of modern comforts and traditional island hospitality. A place where simple, lazy days meet luxurious evenings, and where the friendly, gracious staff meet your every request. Crown Beach Resort & Spa promises 'romance, seclusion & luxury'. Set in 5 acres of lush tropical gardens punctuated by streams and waterfalls and embracing 36 stand-alone villas, a state-of-the-art Conference/Functions Centre, onsite Spa, two on-site restaurants & bars & mini- gymnasium, 120m of private white sandy beach, surreal turquoise lagoon, beautiful waterfall-fed swimming pool and spectacular sunsets. Crown Beach Resort & Spa promises luxury & romance for those seeking a private heavenly space - for just the two of you. 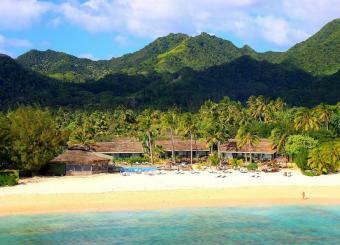 Pure Polynesia, Royale Takitumu has created the definitive deserted island luxury experience. This is a one-of-a-kind destination for the discerning traveler who wants to be enchanted by the South Pacific experience, without relinquishing the very best creature comforts. Just a few steps from your bedroom lies Rarotonga's premier white sand beach in the heart of Titikaveka, on the quiet south side of the main island. Take a tour on the Semi-Sub to view the underwater world that lives around Rarotonga's reef. Tour is suitable for all ages and for those who don't want to get wet but would like to see Rarotonga's sea life, ship wrecks etc outside of the reef. Take the 4 Wheel Drive Safari Tour on the inland roads and to the heights of Rarotonga for some breathtaking views and scenery. Your tour guides give you commentary on history, cultural and traditional uses of flora and fauna. Experience sights and sounds that normal visitor traffic cannot. Visitors from around the world come to visit the island for its tropical climate, pristine beaches, crystal clear blue waters, awesome mountain views and others, to reel in the big one! Whether you're a seasoned angler or looking to take your family out on their first fishing trip, our skipper and crew here at Seafari fishing charters will aim to give you an experience you wont forget. Storytellers delivers a informative and genuine trip that takes guests on routes through lanes and tracks of the island showing the histories and heritage of the beautiful island nation. Board your 71 foot traditionally designed catamaran, Titi Ai Tonga. At the top reef, get a chance to snorkel among schools of tropical fish and hand feeding them is a lot of fun. Lunch is served on the vessel as you take a slow cruise to One Foot Island, where for a few hours, you can swim in crystal clear waters, explore the island or just laze in the sun on the soft white sand beaches.